Employee wellness programs offer several advantages to both employers and employees. Many corporate employers are using employee wellness programs to enhance the health and fitness levels of employees. Undoubtedly, a healthy and fitter workforce is needed to improve the overall productivity of your company. Moreover, these programs assist in reducing health insurance costs for each individual employee. Thoroughly understanding the different advantages of employee wellness initiatives enables employers to implement programs in their organizations, just as it does in the case of Family Heritage insurance plans. To this end, this post highlights the major advantages of employee wellness programs for employers. The most obvious benefit of implementing an employee wellness program is that it creates a culture of health at your organization. This can greatly impact all other areas of business for the better. Healthier employees are more productive. They are also happier, which makes them much more likely to collaborate effectively with other colleagues. Creating a healthy culture at your organization using great corporate wellness program ideas is a must in today’s unhealthy world. Employee wellness benefits programs definitely help you achieve this. An excellent reason to consider wellness benefits for your employees is that wellness benefits programs are entirely adaptable to your particular company culture. Your business can take a unique approach to the program by incorporating particular areas and issues that your employees value or want to address. Perhaps your employees want to learn better skills to speak in public. Or maybe, they just want a program to help them quit smoking. The ease and flexibility that comes along with introducing a wellness benefits program is a definite reason to give it consideration. Employee wellness programs can reduce employee health insurance expenses significantly. Since corporate companies are liable to subsidize employees’ health care insurance, implementing an the program is financially beneficial. By keeping your workforce healthy, a wellness program decreases the number of health insurance claims, saving on corporate expenses. What’s more, this type of programs can even cut down costs of workers’ compensation insurance and disability costs. On the whole, employee wellness programs can lower your company’s operating costs, directly impacting the bottom line. The main objective of every wellness program is to enhance the health and fitness levels of employees. Each program includes a variety of health care initiatives like weight reduction, nutritional advice, men’s health business discounts, exercise programs and smoking cessation. Obviously, these initiatives keep employees from becoming sick as frequently. Furthermore, they lower the risk of heart attacks, diabetes, high blood pressure and high cholesterol, enabling employees perform better. Above all, employee wellness programs keep stress levels in check, boosting employee productivity. Creating an employee wellness program can control absenteeism tendencies of employees. By joining wellness programs at work, employees get a chance for some relaxation and socialization with colleagues. Quite naturally, they enjoy coming to work, anticipating a good time. Additionally, the programs enhance employee engagement and morale, encouraging them to work regularly. Of course, when absenteeism is controlled, the total efficiency of a company increases. Another major benefit of employee wellness programs is improved employee retention rate. Most companies project employee programs as a benefit. Moreover, employees are offered privileges like gym membership, yoga classes, dance and workout sessions through theses health programs, keeping them satisfied. When employees are satisfied, they are less likely to switch jobs. As a consequence, your company successfully retains its key employees, reducing human resource expenses too. Well planned employee wellness programs are utilized to improve the corporate image of companies. Increasing competition has made it mandatory for employers to project a positive image of their company. With the help of employee health initiatives, they are able to do just that. Of course, establishing a positive corporate image leads to gaining better reputation, which will certainly help with your social recruiting results. Employee wellness programs offer manifold benefits to corporate employers. First of all, these programs reduce health care and disability costs. Secondly, they improve employee productivity and employee performance. 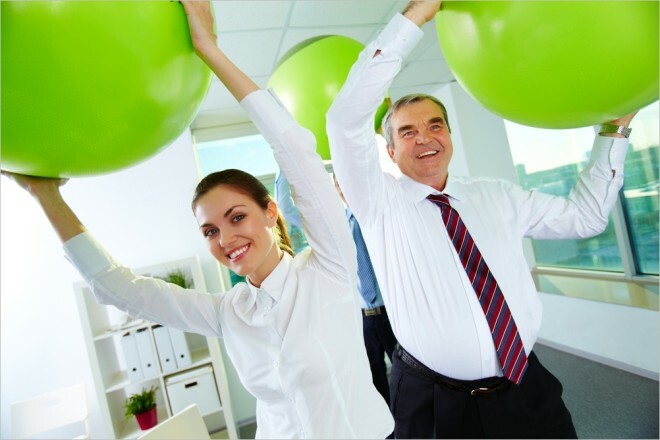 Finally, employee wellness programs boost employee retention while creating a great image for the company. When your company creates an employee wellness program, people understand that you really care about them and their health.